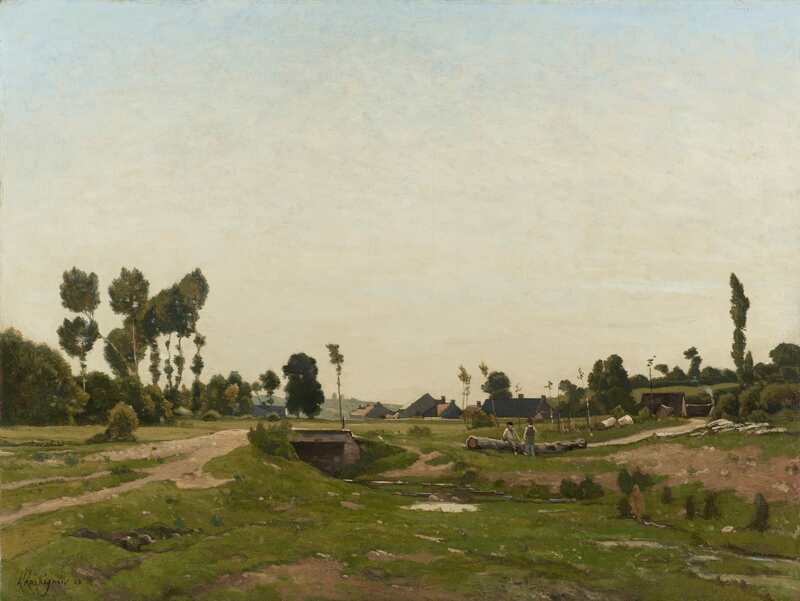 Henri Joseph Harpignies | Stoppenbach & Delestre Ltd.
Harpignies was a pupil of the landscape painter Jean Achard with whom he travelled around France. He spent the years 1849-52 and 1863-5 in Italy. Of all artists Corot had the most significant influence on him; he painted in an essentially Barbizon manner and worked regularly in the Forest of Fontainebleau from 1854. Continually travelling throughout France during his long career, Harpignies spent his summers at Herisson where he led a group known as the Ecole d'Herisson. He travelled there each summer until 1879 when he retired to his property of La Trémellerie at Saint-Privé. Harpignies exhibited at the Salon from 1853 onwards. He was awarded a gold medal in 1866 and further medals in 1868 and 1869. 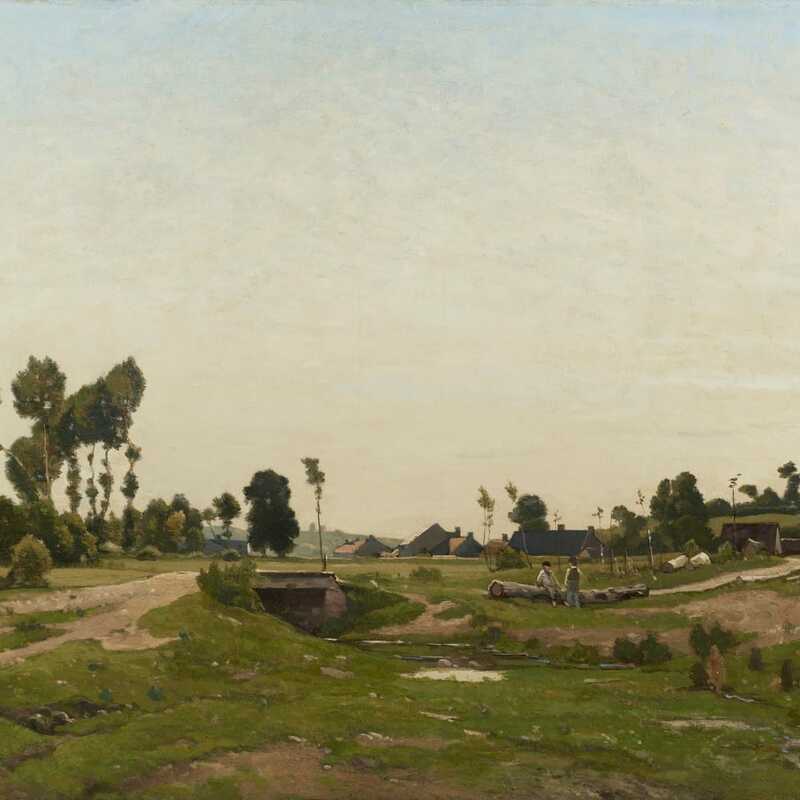 Despite assimilating the mannerisms of most of the Barbizon painters Harpignies was never exclusively a member of one group and his work distilled an immediately recognizable personal style of limited range and sophisticated compositional variation. 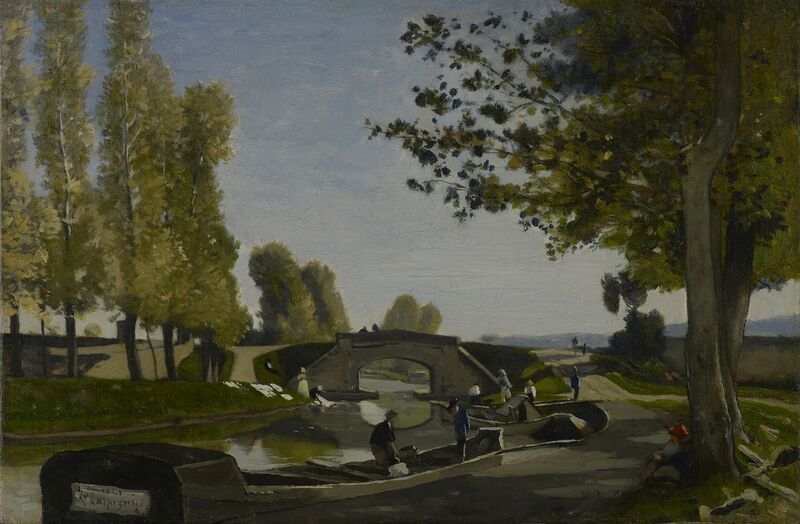 Renown as a major watercolour artist, Harpignies explored this medium throughout his career and was praised by his peers for its distinctive ability.